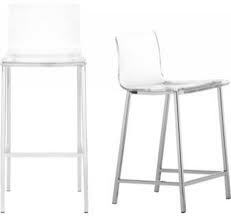 These Vapor Bar Stools are my newest obsession! I love them so much that I just bought them for my place. Sold at CB2 these molded acrylic chairs seem to appear out of thin air. They are sturdy, comfortable, easy to clean and blend into any environment. What a great find!